Paint is probably the cheapest treatment for the walls but marks and dings are inevitable with time. Even after walls were freshly painted some unsightly marks might appear and simply ruin the look. Wallpaper spots and stains are much harder to fix but it’s possible especially if your wallpaper is washable. If you want to keep your walls fresh but don’t want to redo all the work there are a couple of tricks you can undertake to keep your walls look flawless. 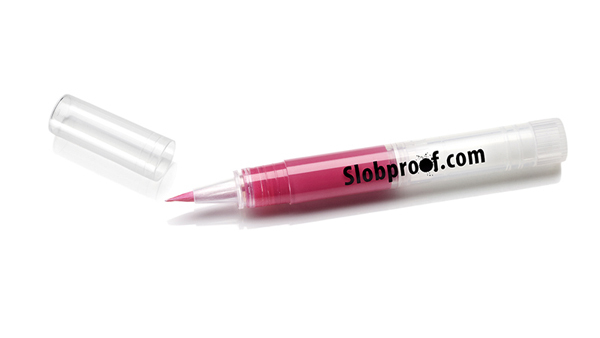 Paint retouching pen called Slobproof is like the ones used to retouch the scratches on cars. 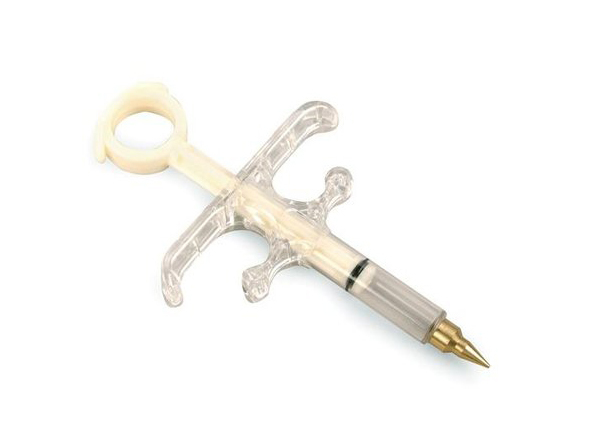 Designed by an interior designer and a mom Debbie Weiner the retouching pen works similarly to those car pens covering up the marks without the need for repainting big chunks of the wall. A disposable air-tight pen is filled with paint, which can be distributed on a small area of the wall with help of a brush tip. Easy and simple solution that doesn’t require much effort. Once the wall is touched the brush tip can be washed and and if there is still paint left in the pen it can be kept till the new marks appear. Unfortunately, it’s not refillable. This is a great solution for small but unsightly stains on painted walls but wallpaper may be much more challenging to clean. First of all, be sure to regularly vacuum your walls to remove any dust or cobwebs and prevent it from setting and changing the color of the walls. Some stains can be removed with a simple paper towel while others might require mild detergent. But beside the stains wallpaper can pose other problems like bubbles, curling edges and peeling borders. These are all fixable though. Bubbles can be easily removed with help of a glue injector, a tool that that looks like a syringe and also used for furniture. Make a cut on the side of the bubble and inject the glue into the bubble. Press the bubble and wipe out the excess of glue with a damp sponge to prevent it from drying on the wallpaper. Curling edges can be treated with the thinnest layer of adhesive applied by an arstist brush or a toothpick. But first it is advised to dampen the edge a little to make it easier to work with. Tears and rough spots you cannot get rid of may require replacing a section of wallpaper. If you have the leftover wallpaper cut a piece from it making sure it matches the wallpaper pattern. Make it a little bigger than the torn or stained section and cut out both by pressing the new piece against the wall. Scrape off the bad section and stick on the new one by spreading a thin layer of paste on its back. Regularly vacuum your walls to prevent dirt buildup. Wash off any scribblings or spots as soon as possible using water and mild detergent and a sponge. Paper towel or wet wipes can help in removing some of the stains but be careful with water as it can easily ruin the wallpaper. Always test cleaners and solutions in some inconspicuous place on the wall to make sure they don’t change the color or texture of wallpaper.